Do you have chronic headaches or jaw tension, ongoing aches and pains, or nagging fatigue? Craniosacral Therapy may provide the relief you’re looking for. 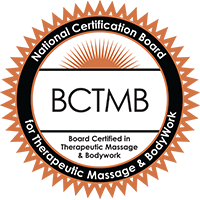 By freeing the central nervous system to perform at its best, Craniosacral Therapy gently and naturally eliminates pain and stress, strengthens your resistance to disease, and enhances your health and well-being. You may have heard of John Upledger, DO, who made Craniosacral Therapy available to all caring people who want to study it, without restricting its practice to osteopaths. Ginny Hofrichter has studied cranial work in the Upledger tradition, with its focus on using the cranial bones as “handles” to free the membranes around the brain and spinal cord. She has also studied with Joe Belanger, PT, in the tradition of his mentor, Ed Stiles, DO, FAAO, with its focus on releasing tension in the cranial bones and in the joints between those bones—so they “dance,” or move more easily. Both approaches improve the flow of nourishing fluids around the brain, the cranial nerves, and the spinal cord. Sessions are usually deeply relaxing, often creating feelings of warmth or release in the areas being addressed. Easing of the many stresses that accumulate in your daily life. Want more information about Craniosacral Therapy? Call Ginny at 860-560-0368.